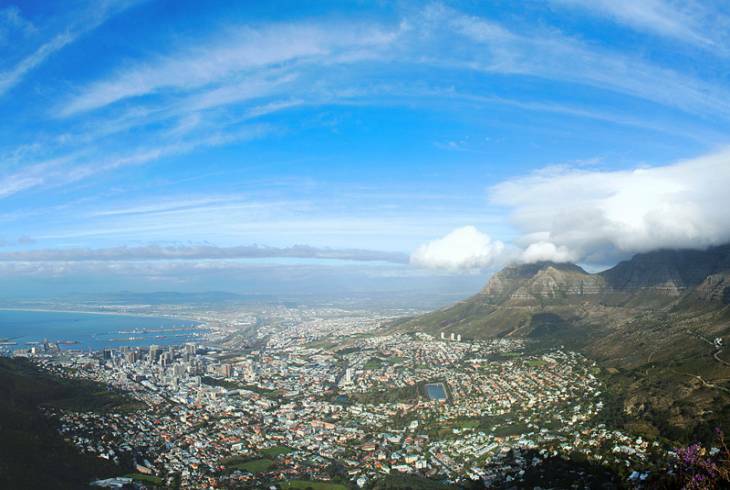 Cape Town's City Bowl nestles like a round dome between mountain and sea, with Table Mountain on one side and the harbour and Table Bay on the other. Flanked by Devil's Peak, Lion's Head and Signal Hill, the City Bowl includes the suburbs of Gardens, Vredehoek, Oranjezicht and Higgovale and is an ideal area to stay for proximity to the pulse of Cape Town's history and easy access to restaurants, entertainment, the V&A Waterfront and the Atlantic Seaboard with its popular beaches. Cape Town City Bowl overview. Cape Town City Bowl Accommodation and Information.